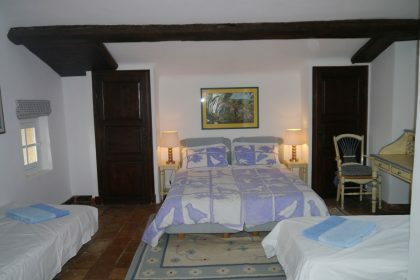 It was so fabulous to be right in Le Rouret, what a gem of a French village. I'm going to miss this house. 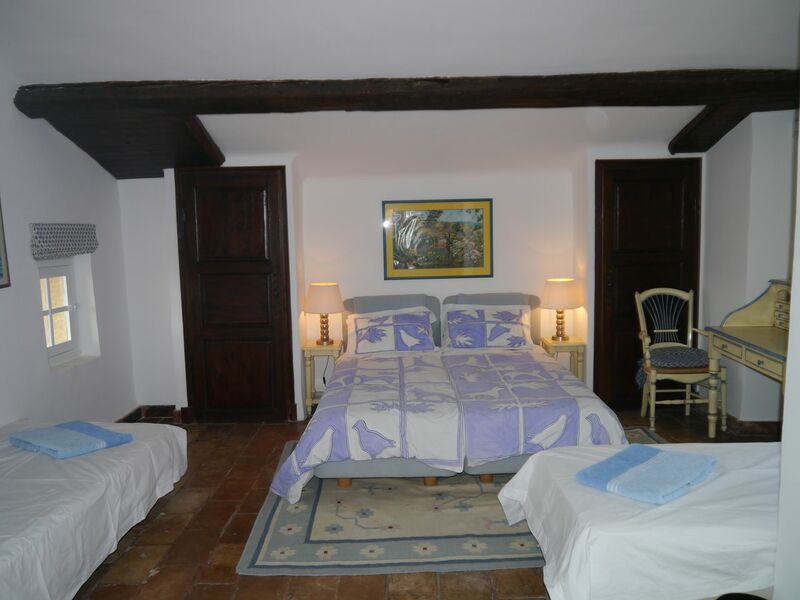 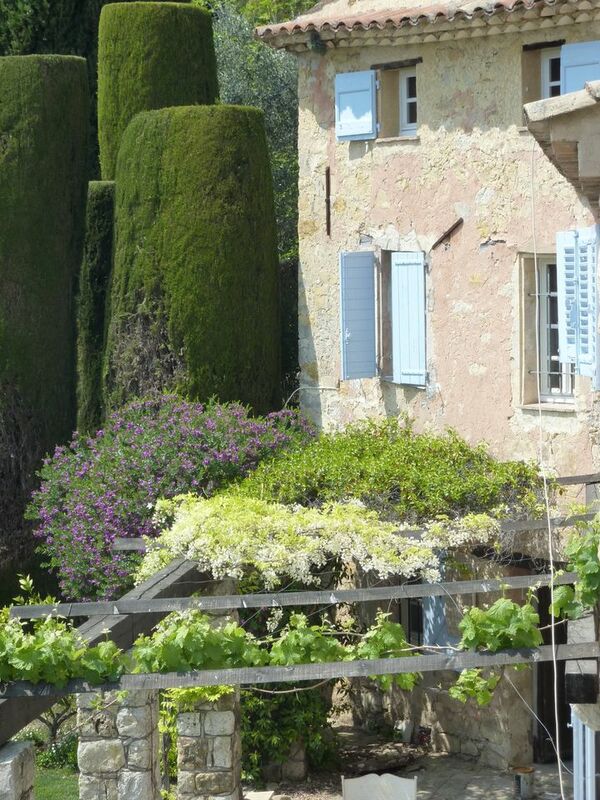 Walk out of the garden gate and you’ll find yourself in the beautiful village of Le Rouret. 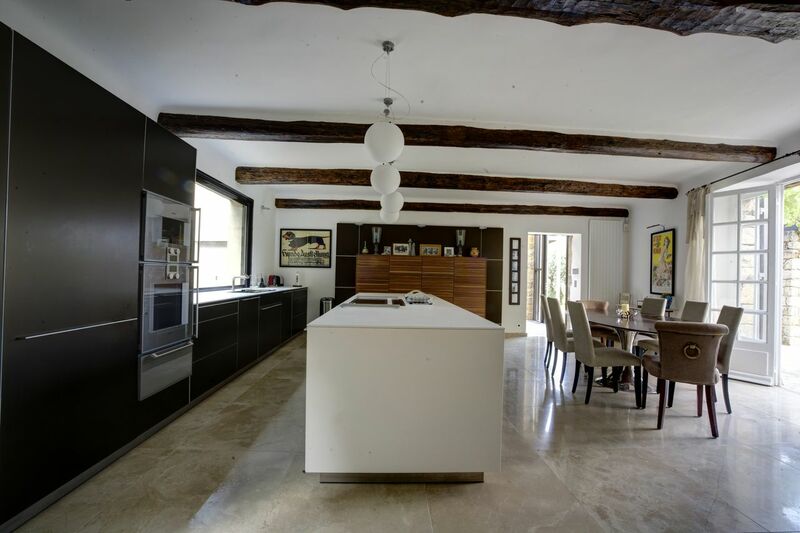 Take in the atmosphere by strolling to the market, watching the locals play boules in the square & be sure to try the menu du marche at the fabulous Clos St Pierre restaurant. 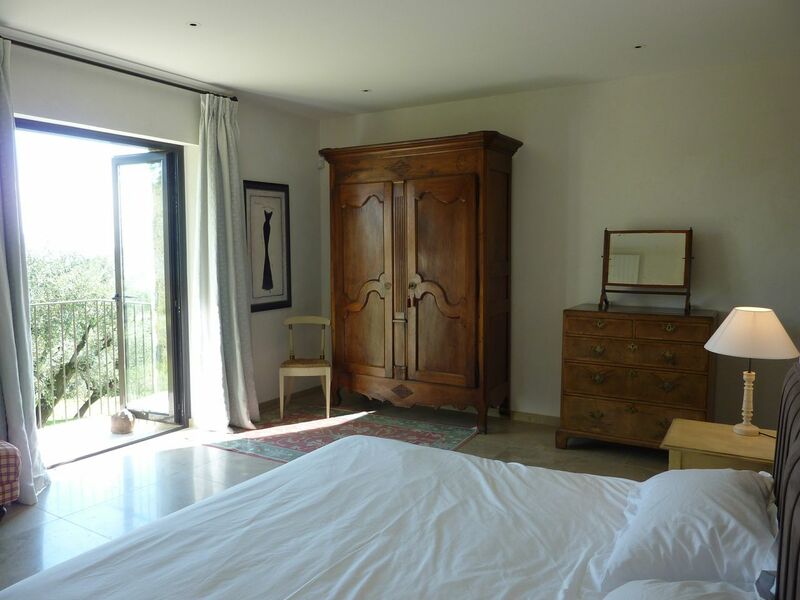 Le Rouret House backs on to a national park – a wonderful place for walking or cycling. 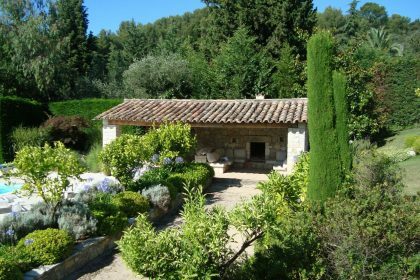 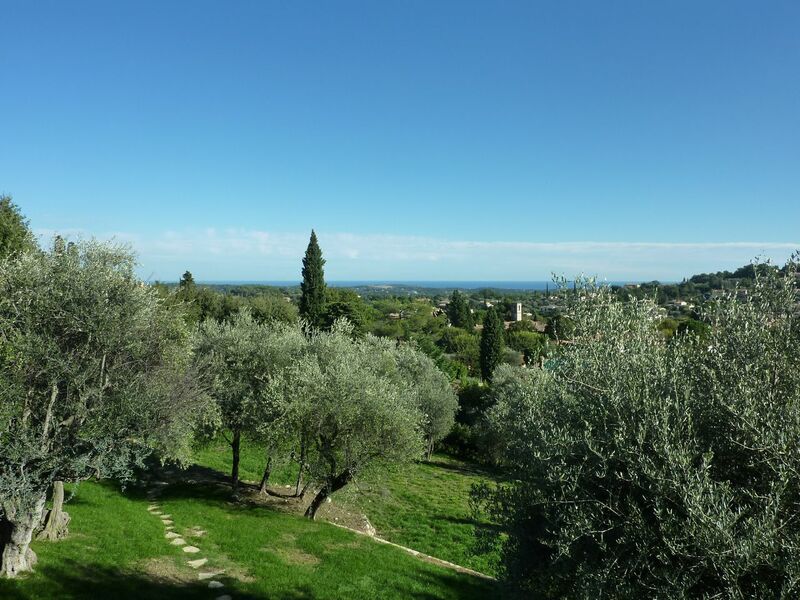 Should you wish to venture beyond Le Rouret, you could visit the nearby village of Valbonne, the perfumeries of Grass or go to Biot & Vaullauris known for their fabulous ceramics and glass works. 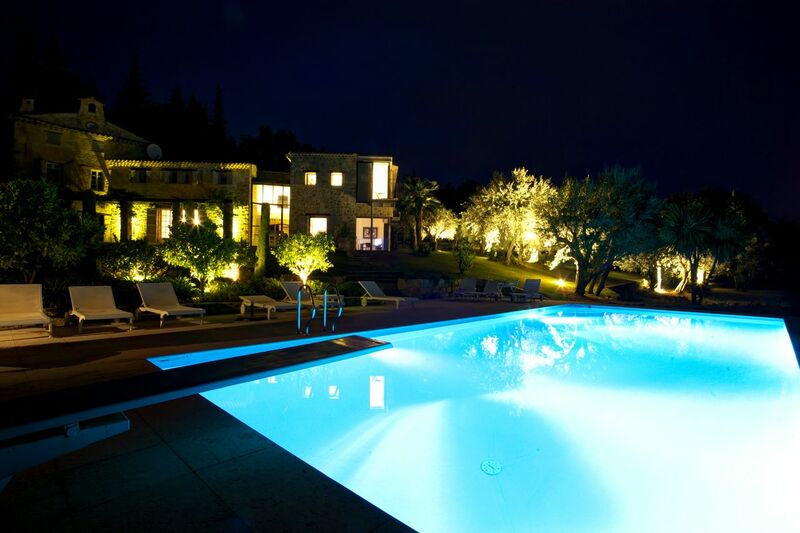 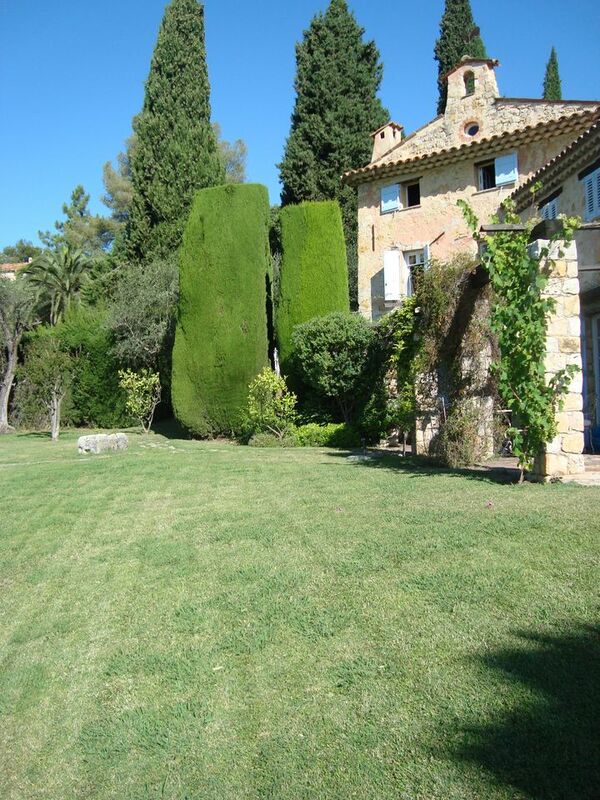 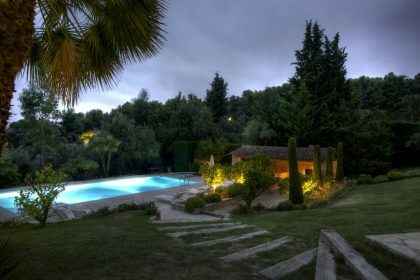 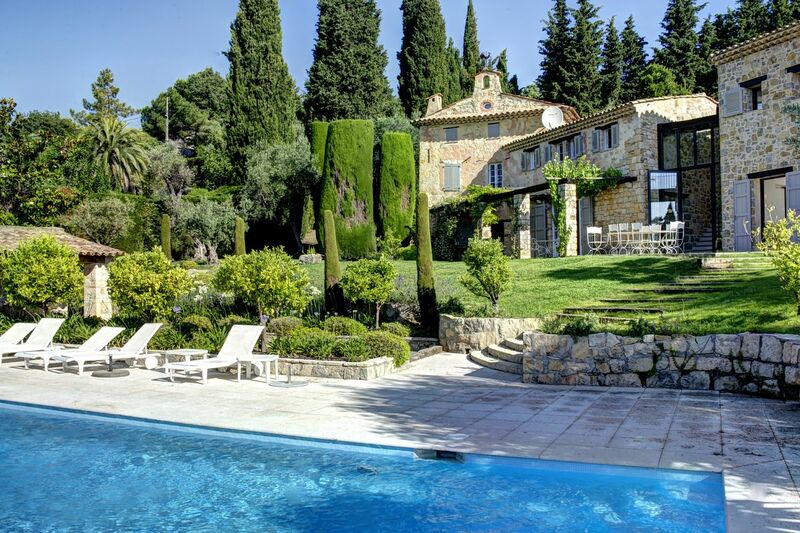 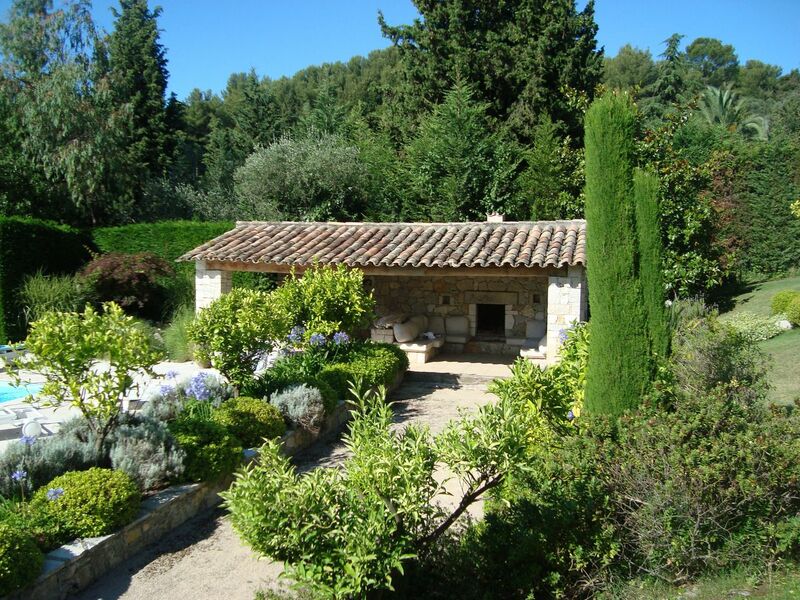 Provence was home to the Impressionists and art lovers will be in heaven here. 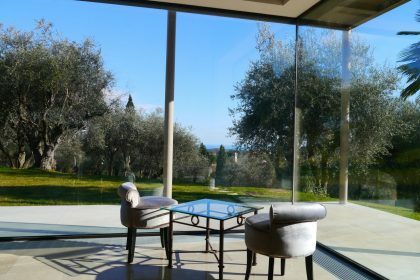 Dine admiring the originals which hang in Le Colombe d’Or restaurant in the village of St Paul de Vence, visit the Picasso Museum in Antibes and the Matisse museum in Nice. 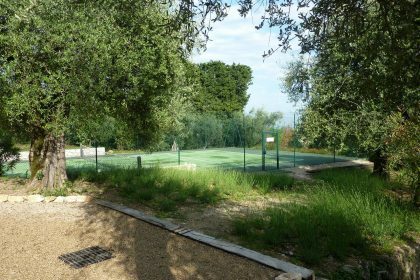 Nearby you’ll find activities to suit all – there’s golf, sailing, canyoneering, zip wiring in the Gorge du Lup and plenty more. 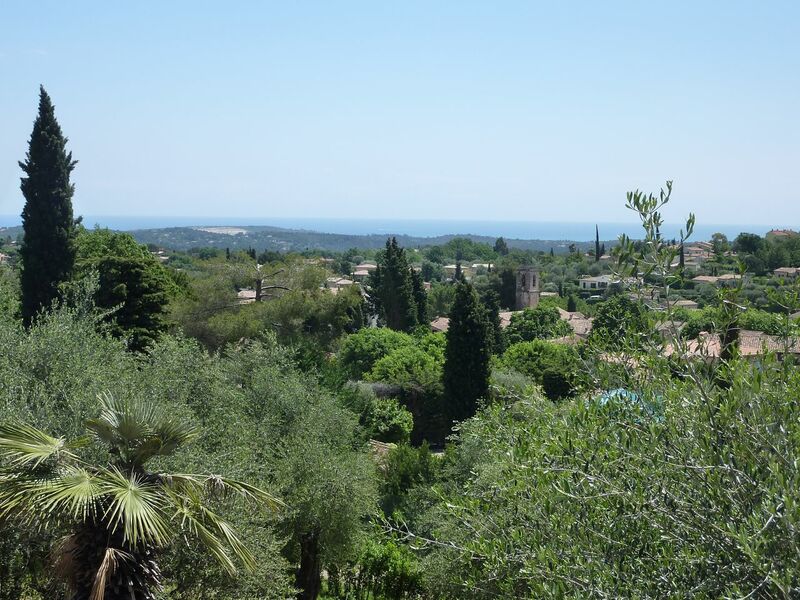 The Cote d’Azure beaches are within easy reach. 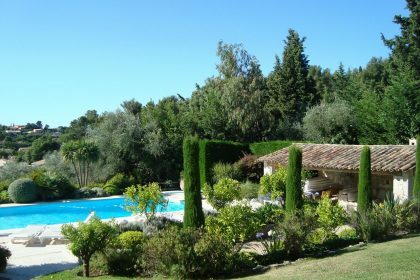 Try a bit of celeb spotting on the Plage de Tahiti or for a bit of peace & shade try the Plage de Paloma. 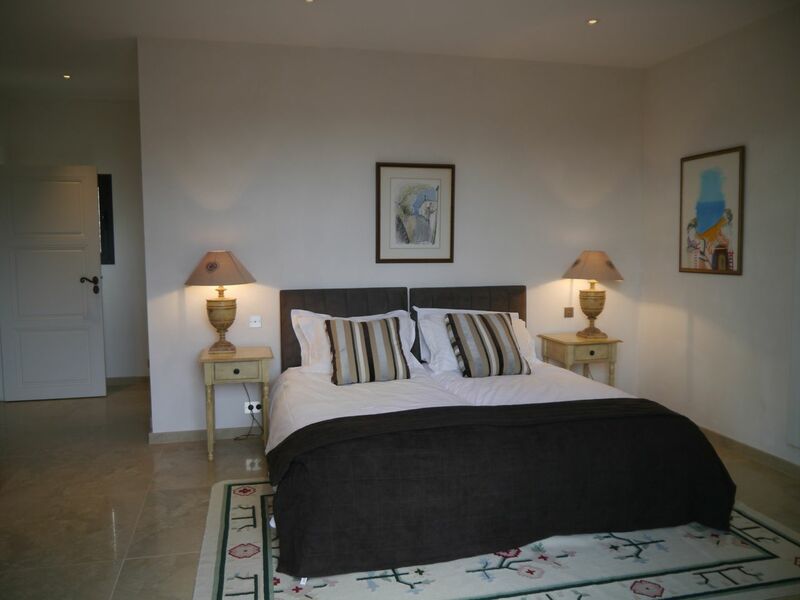 Plage de la Garoupe is the beach immortalised in F. Scott Fitzgerald’s Tender is the Night. 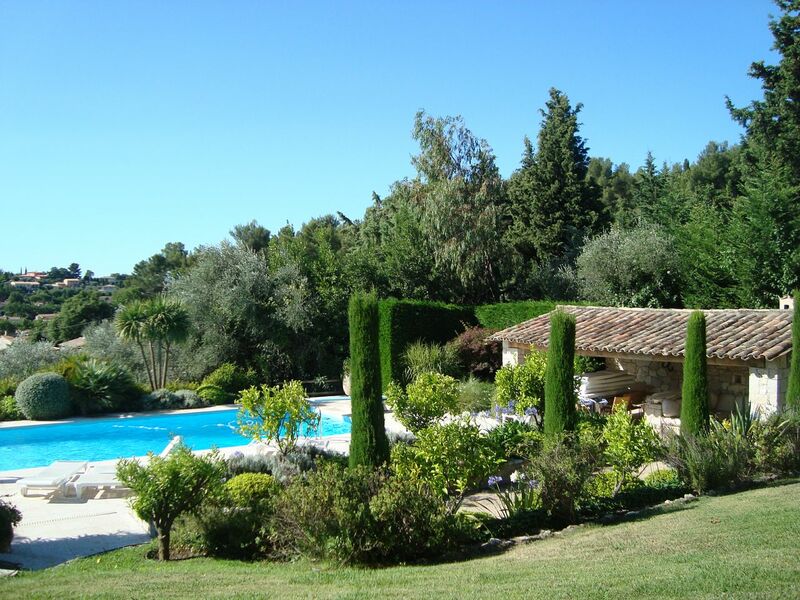 You could also take a boat to St Tropez or Iles de Lerins. 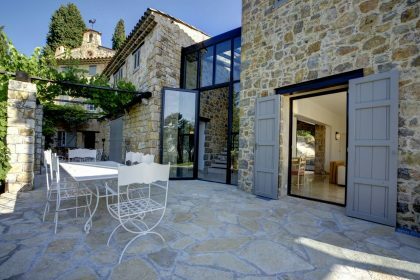 A wonderful mixture of old and new is what attracted us to this amazing house in the heart of the Provencal village of Le Rouret. 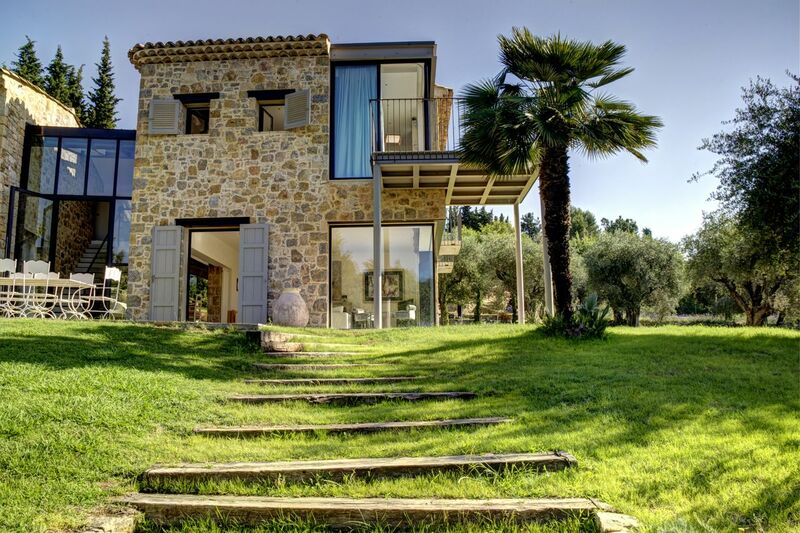 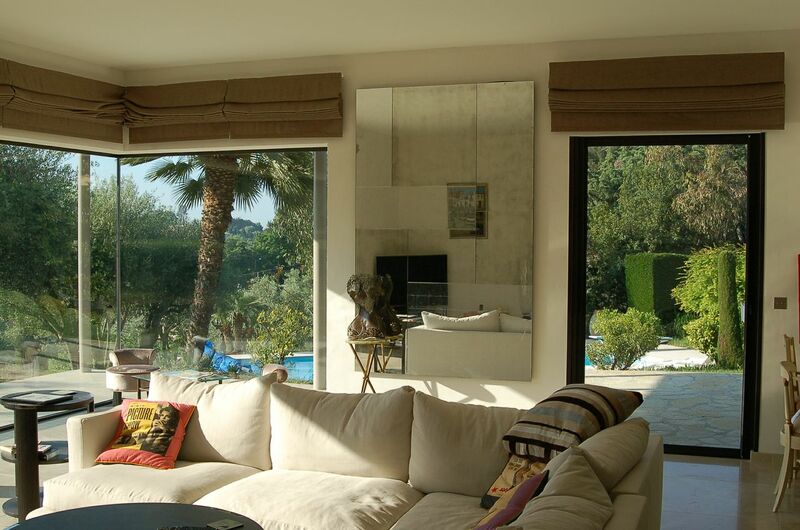 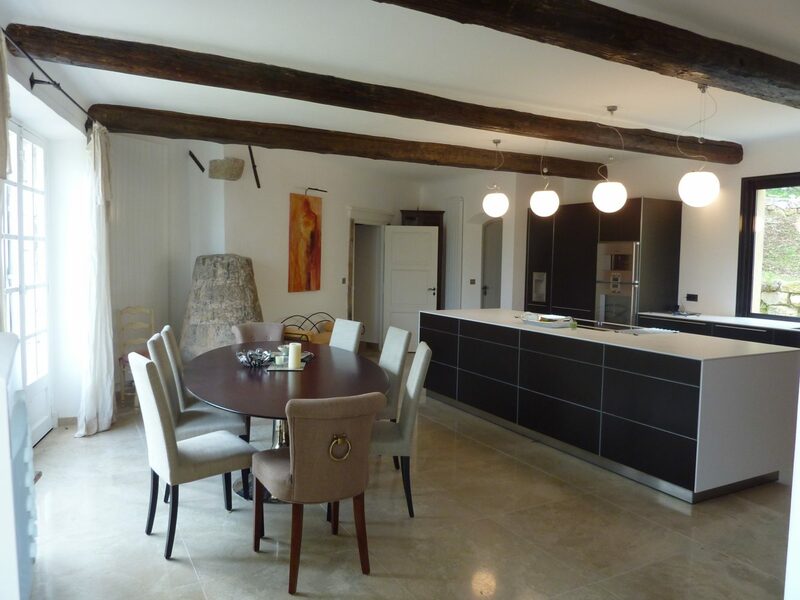 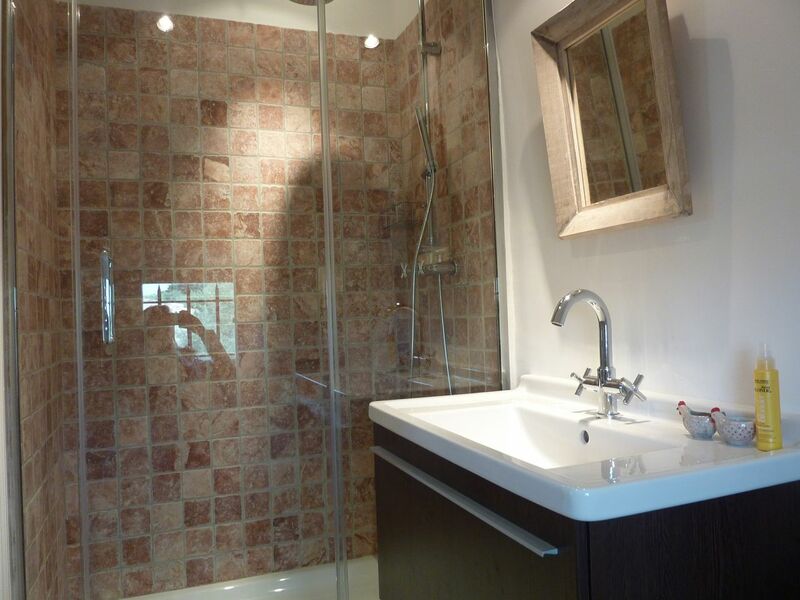 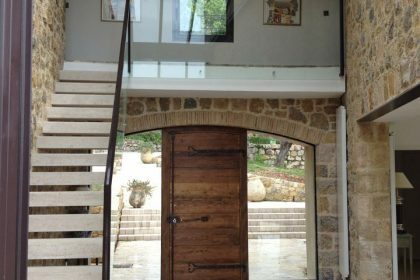 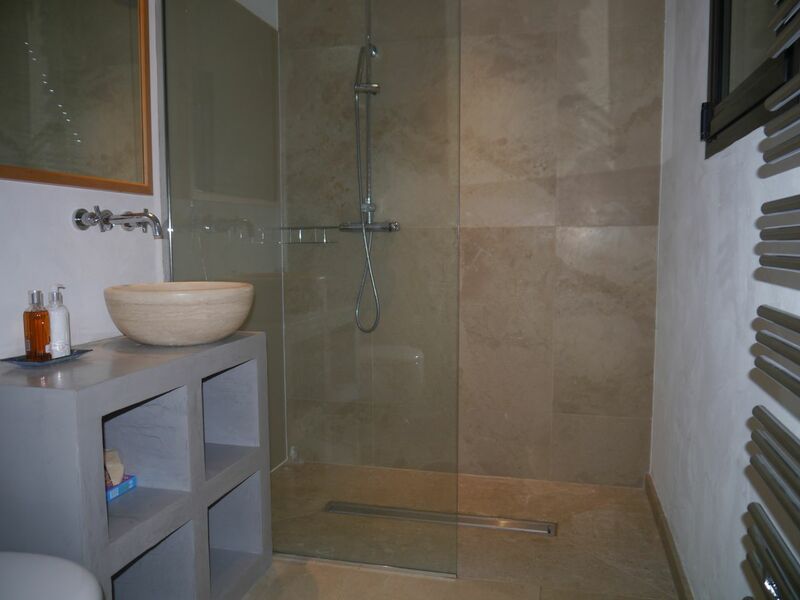 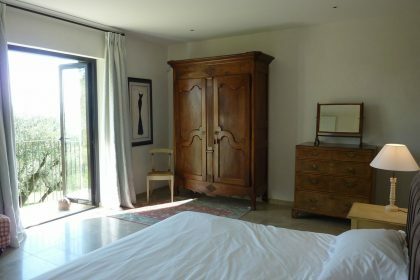 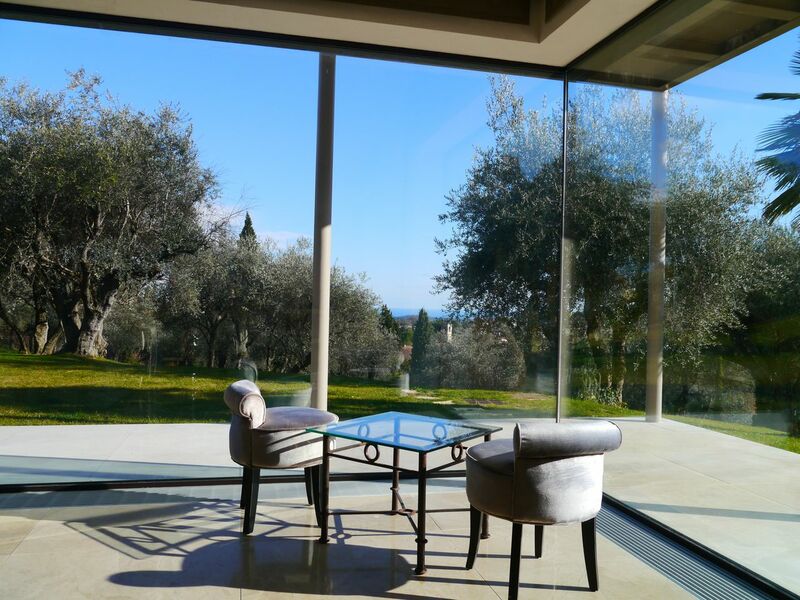 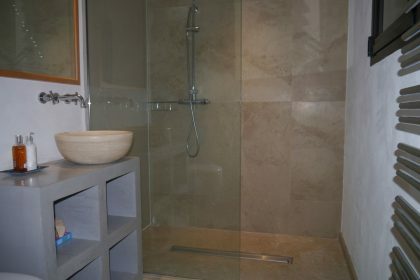 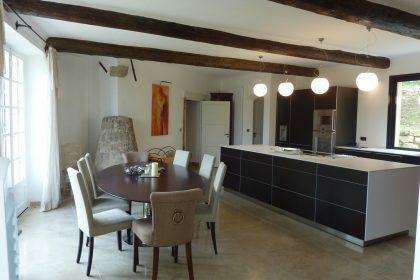 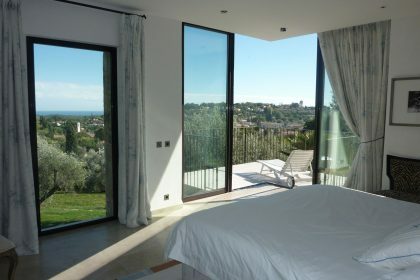 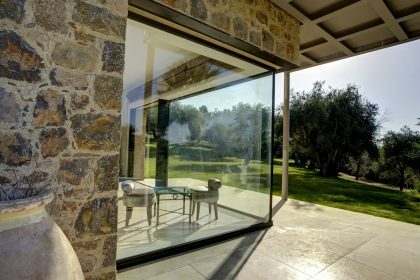 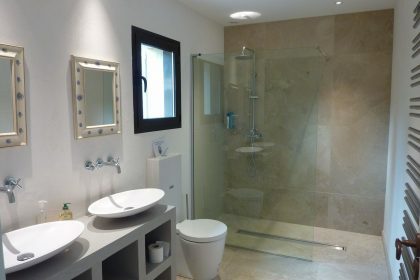 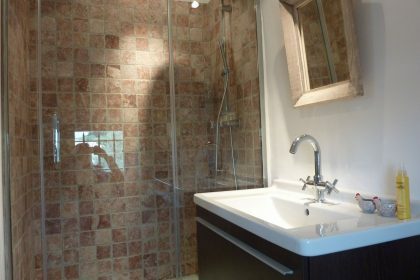 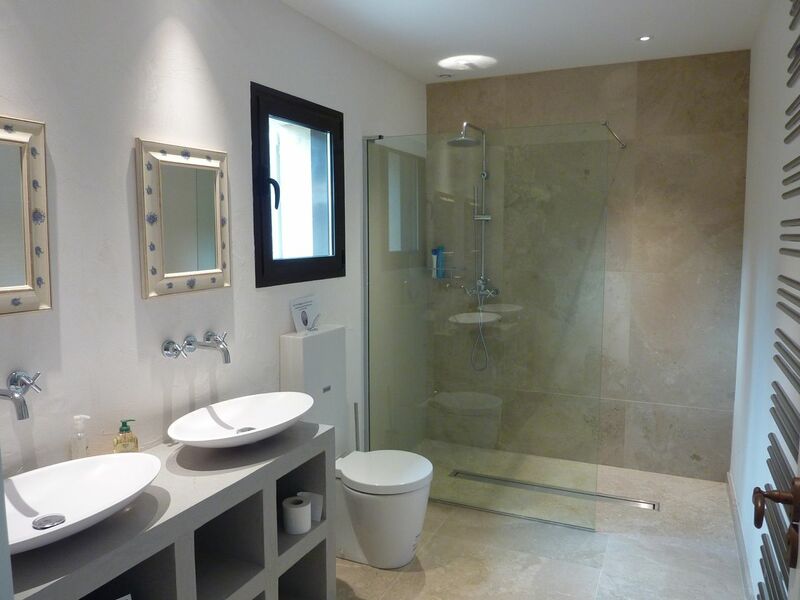 The owner has recently added a beautiful glass, contemporary wing to a very old former bergerie. 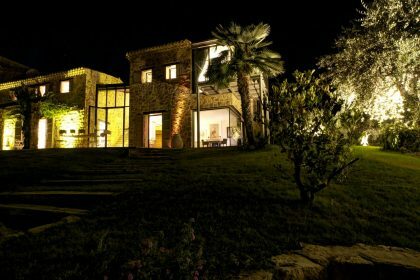 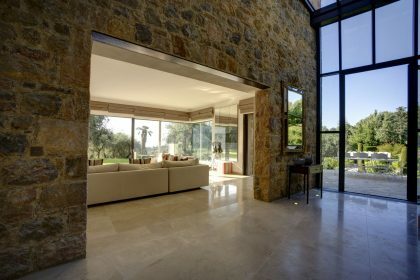 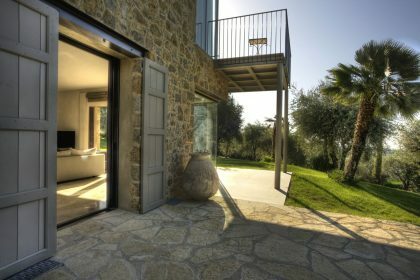 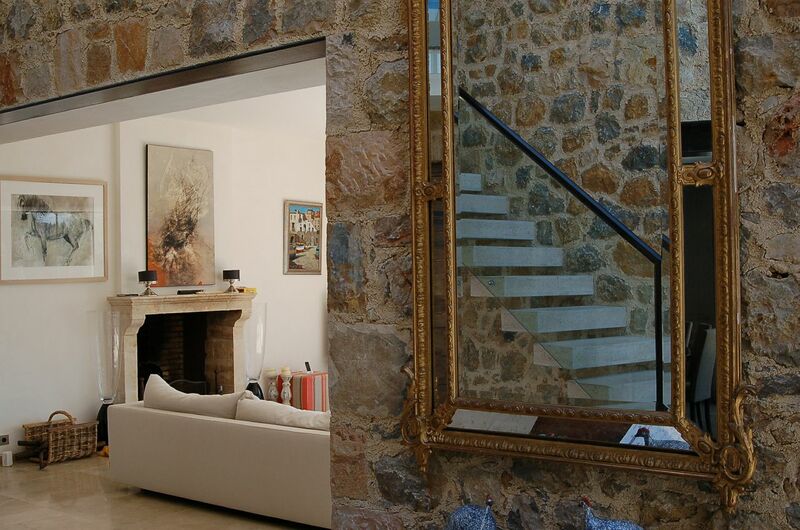 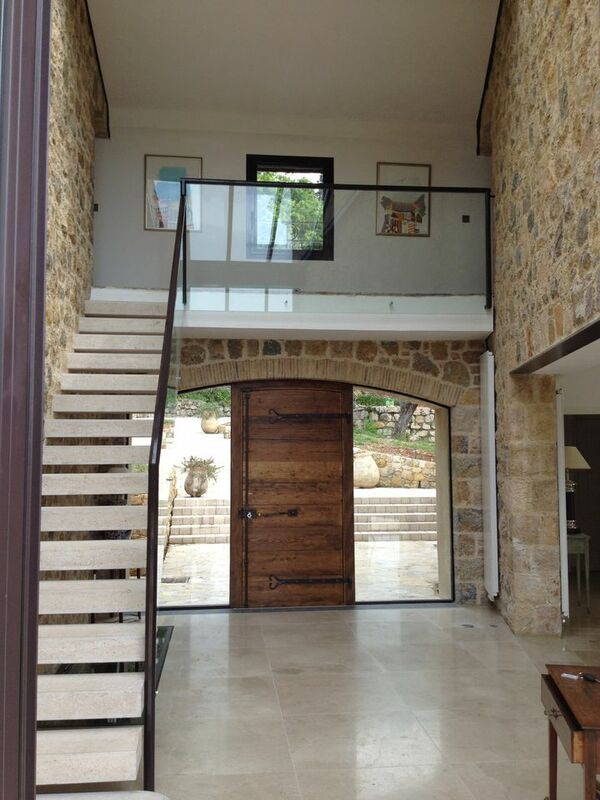 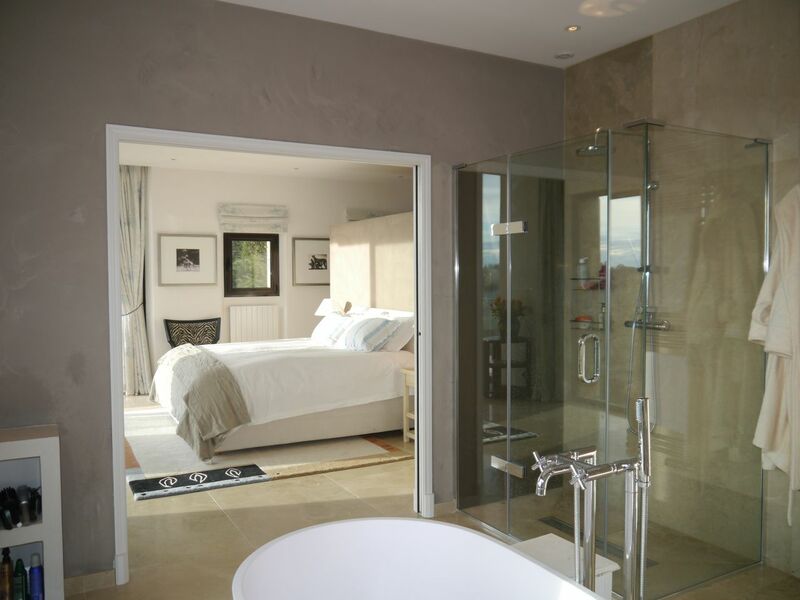 The combination is an impressive mix of dramatic galleries, stone and glass walls & cosiness. 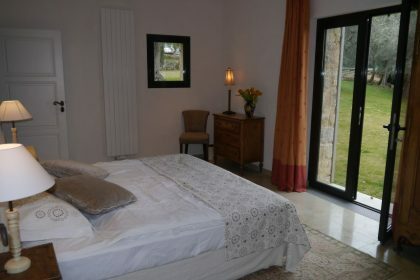 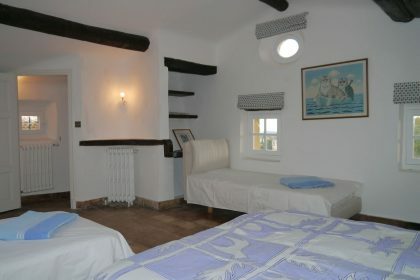 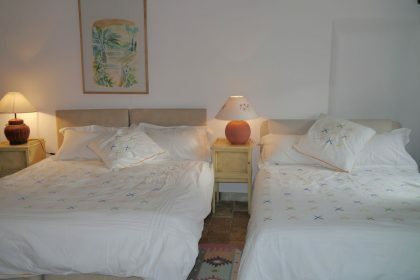 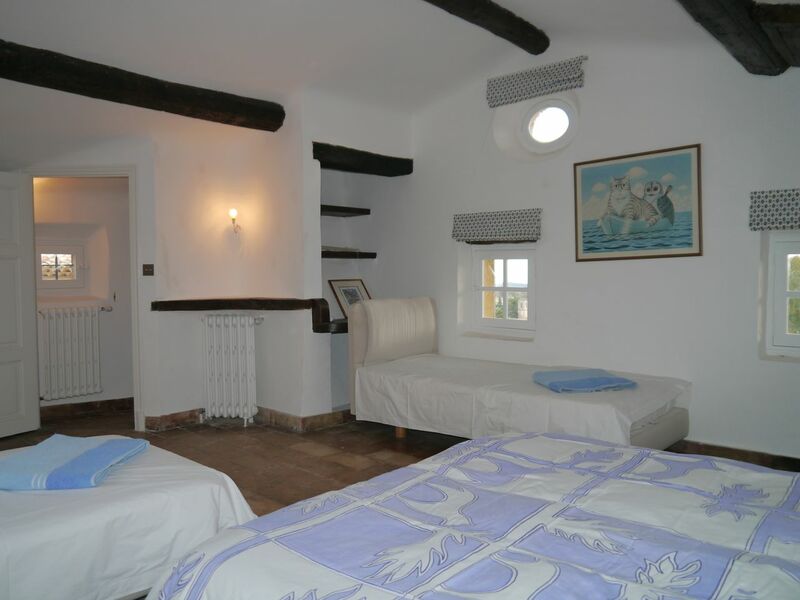 All in all a beautiful family home and comfortable holiday villa. The large, light-filled, modern kitchen is unique as are the rolling lawns leading to dappled shaded pathways leading down into the village. 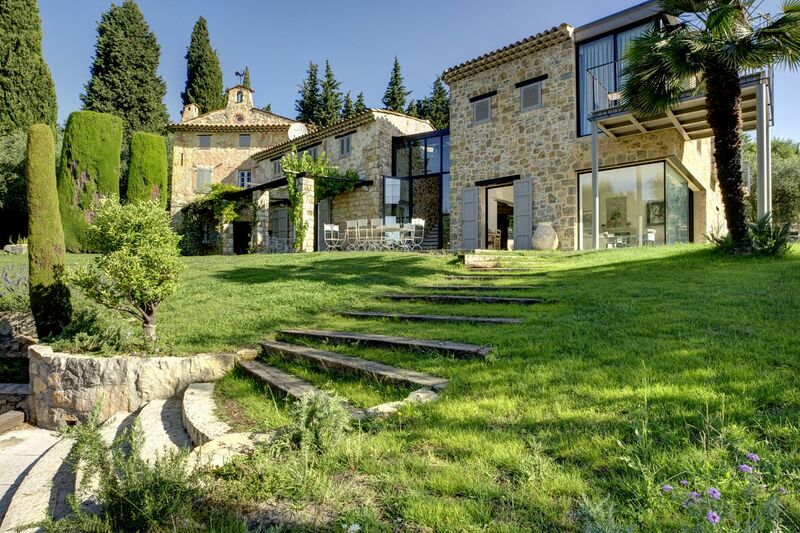 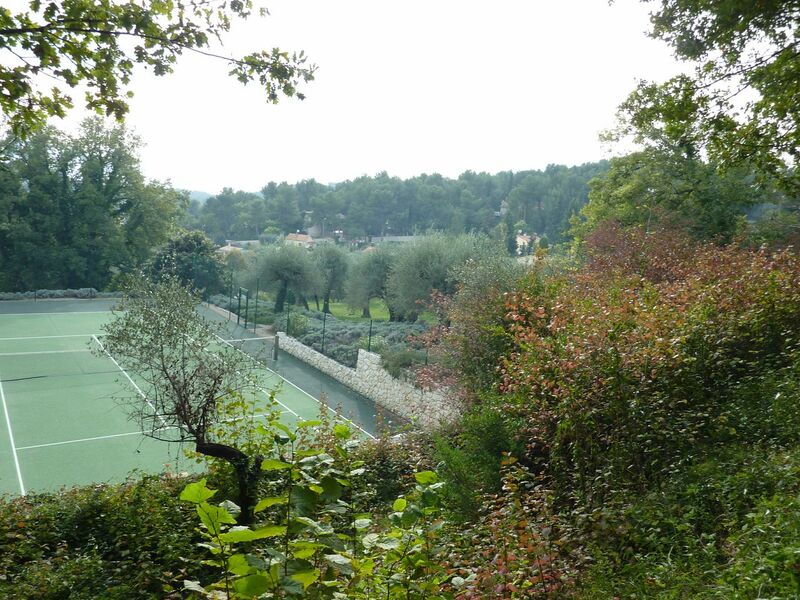 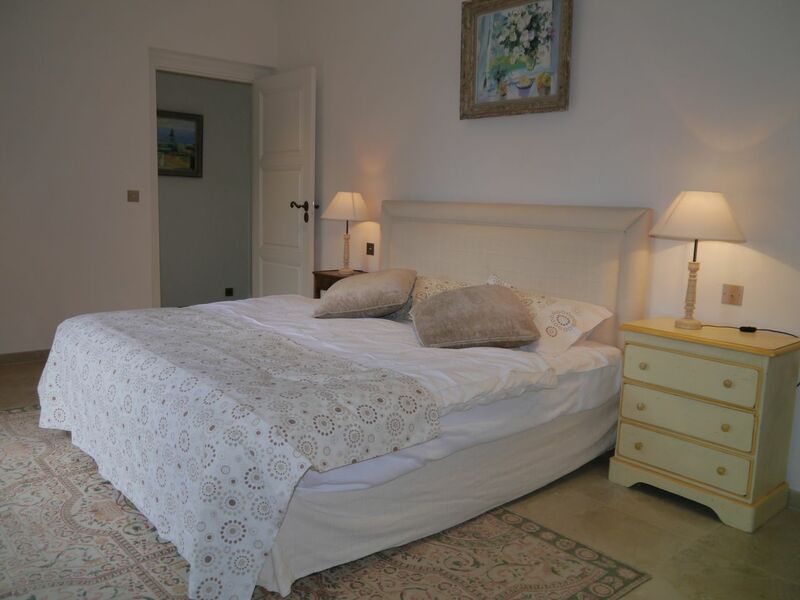 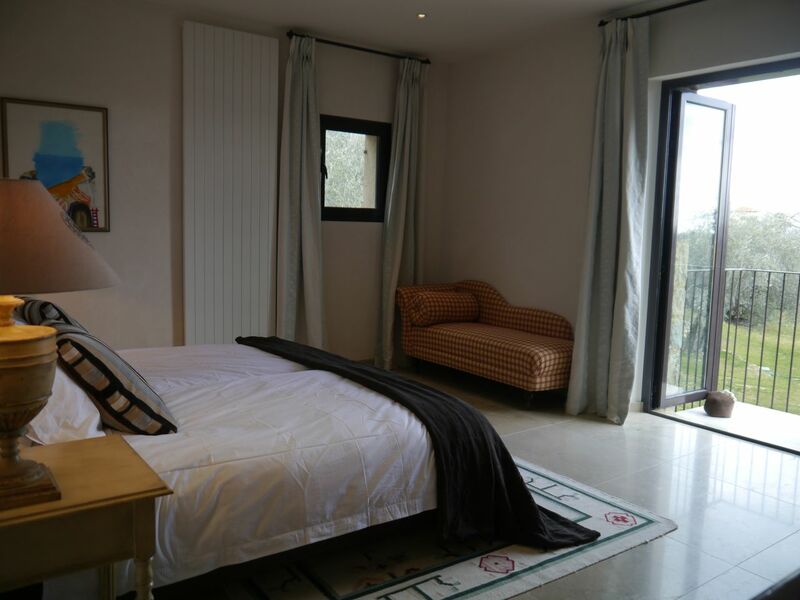 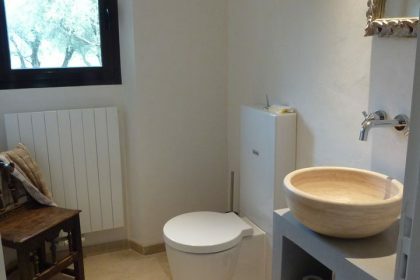 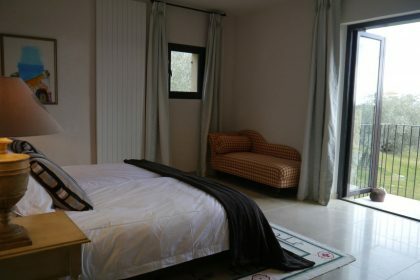 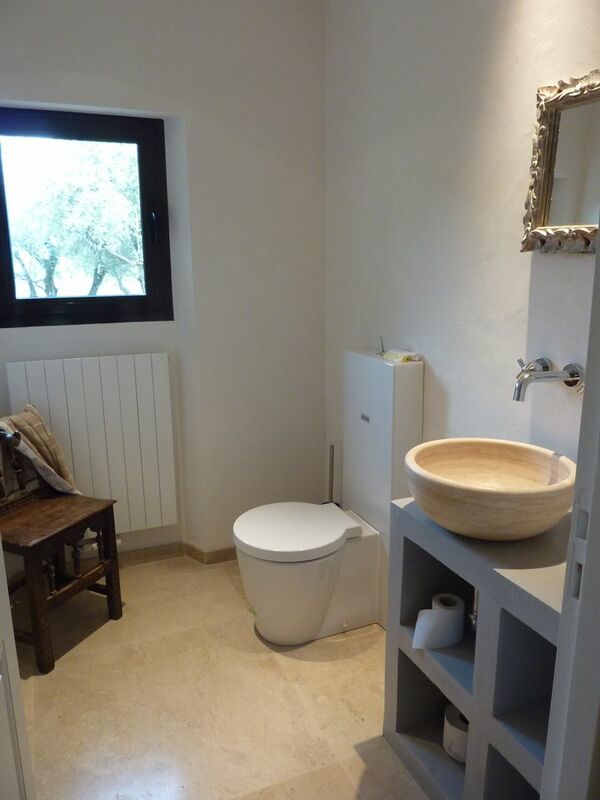 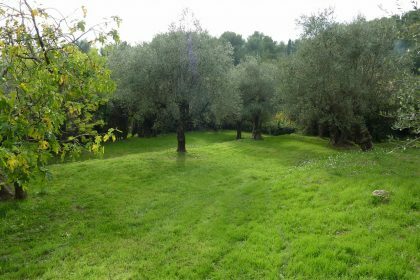 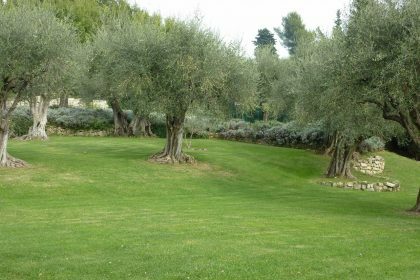 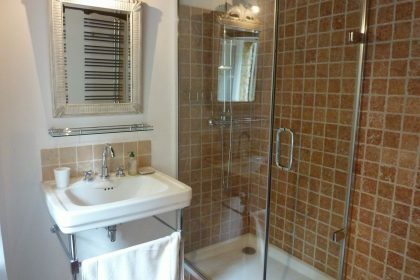 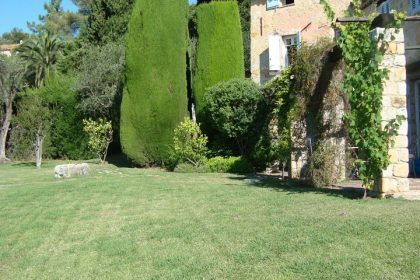 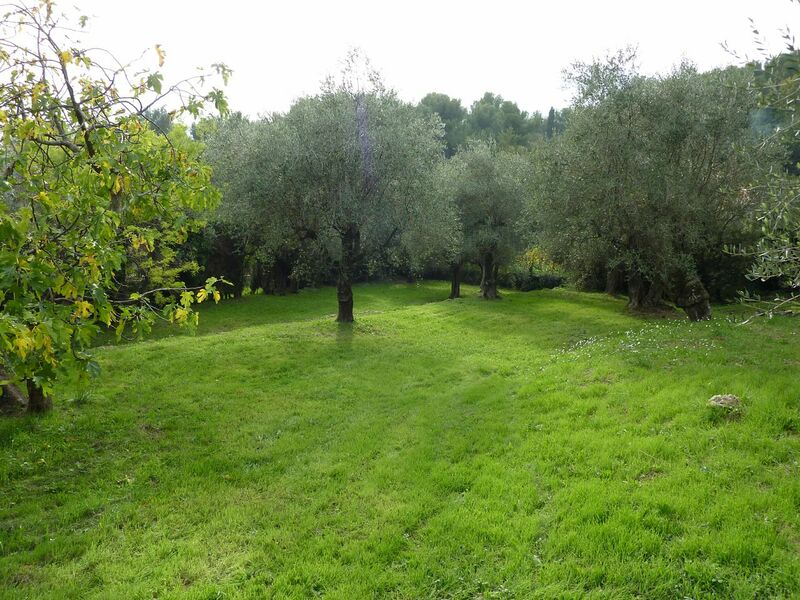 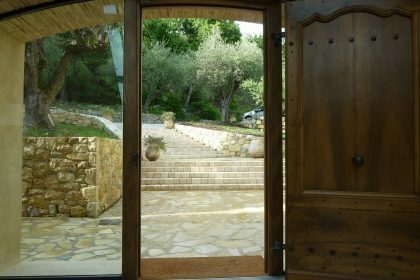 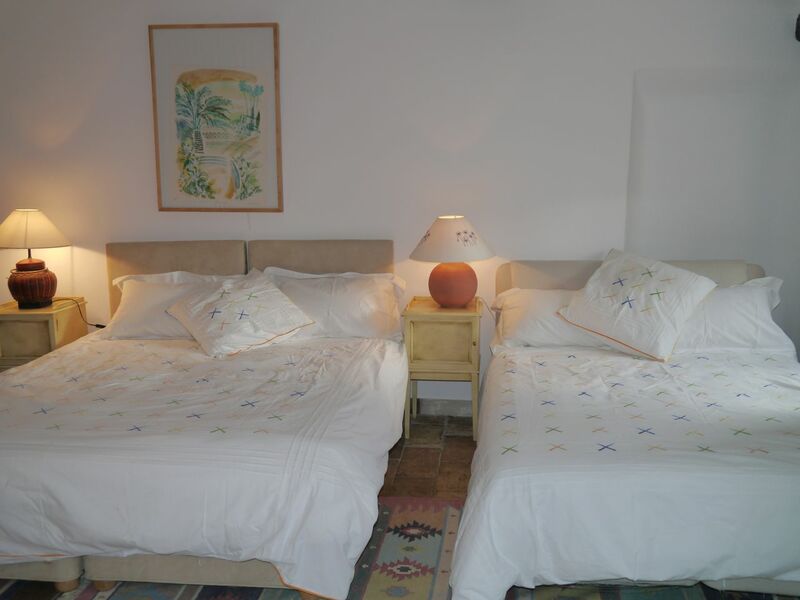 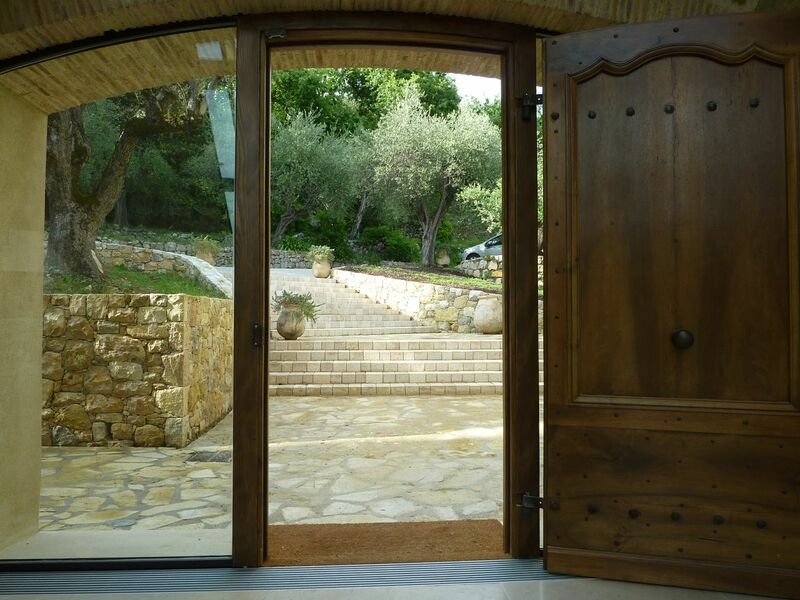 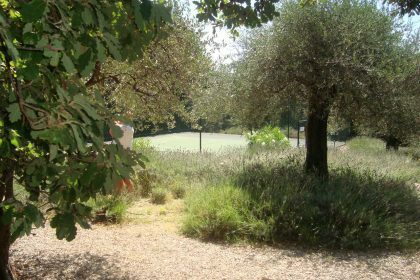 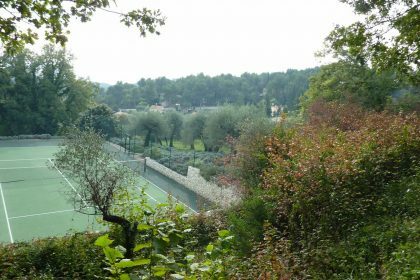 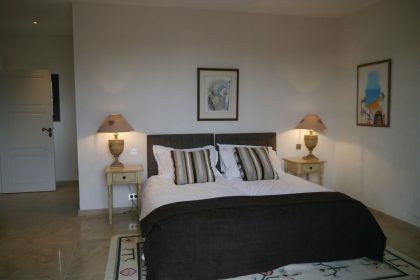 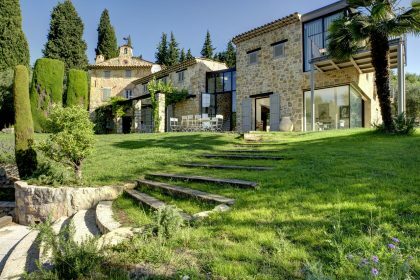 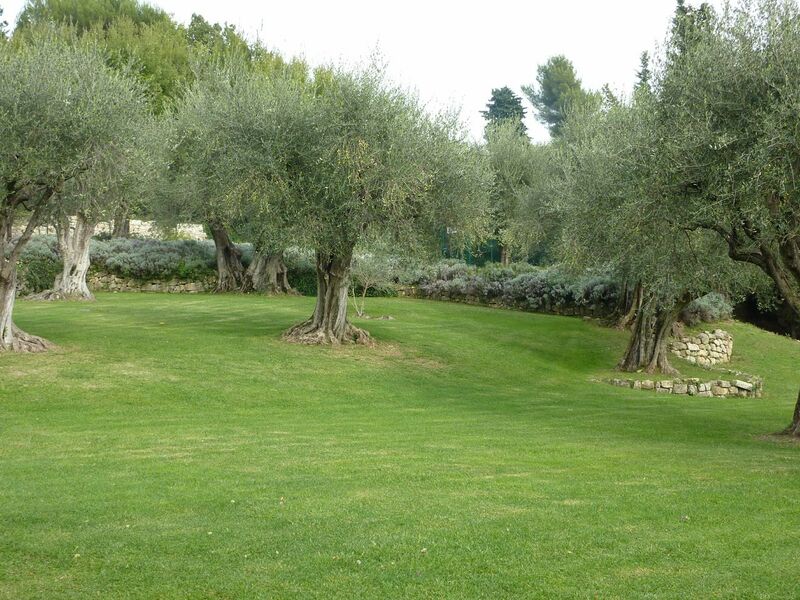 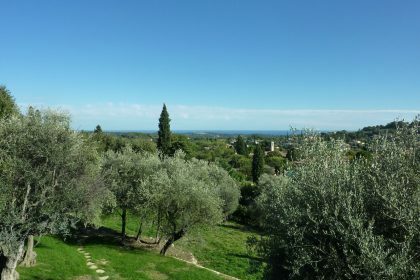 This lovely property is set within 2 acres of ancient olive groves with a beautiful tennis court and great views of the village from its elevated position. 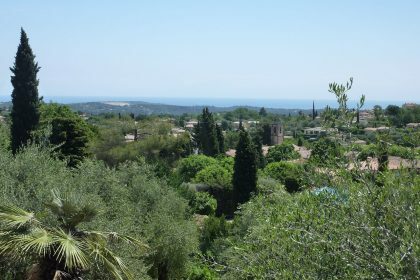 You can see the sea beyond and dipping in and out of village life is a must from this privileged spot. 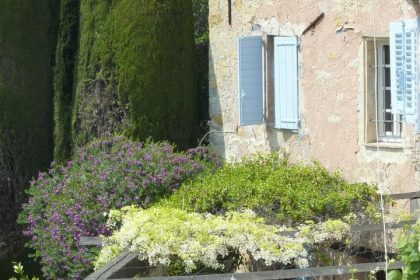 Step out of the bottom of the garden and find yourself in the stunning village which is just about as traditional as you can get in this part of France. 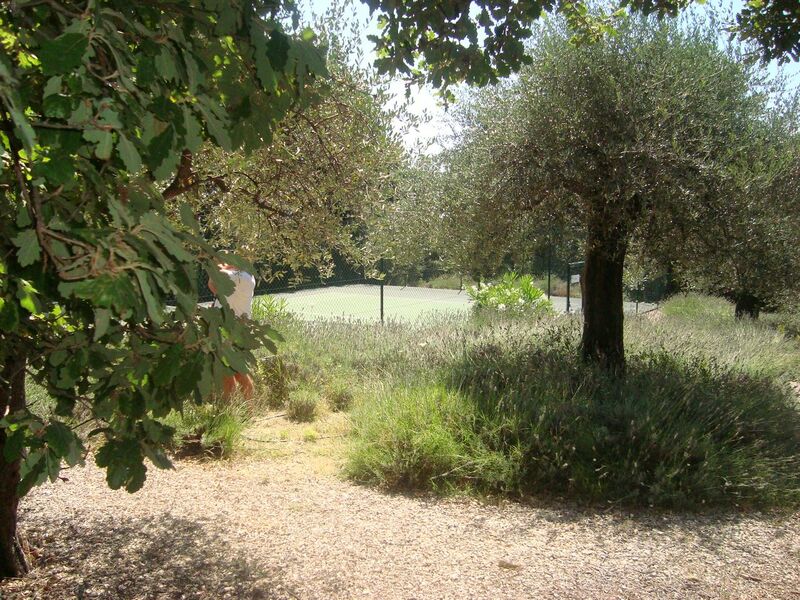 A minute’s walk to the bakery for fresh croissants or delicious bagette for lunch. 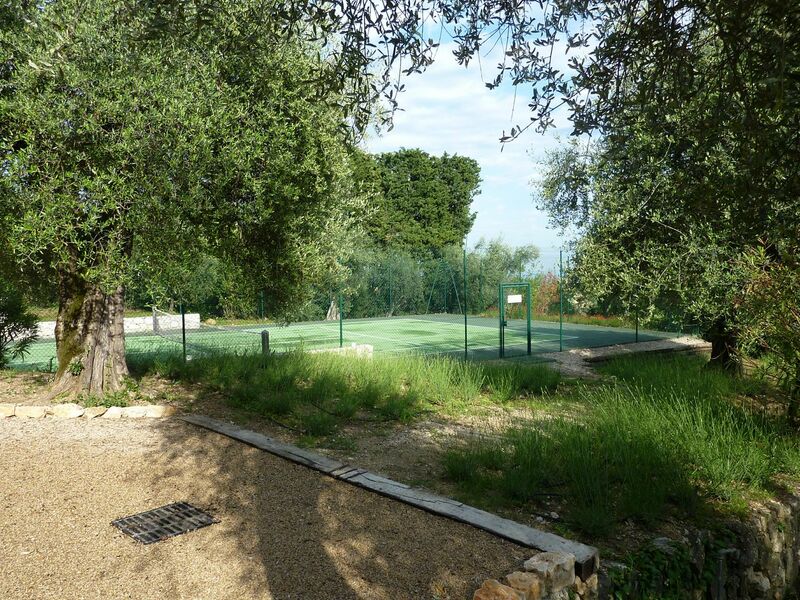 A great place to watch the beret-wearing locals playing boules in the evening shade or venture a little further to the national park which surrounds the property. 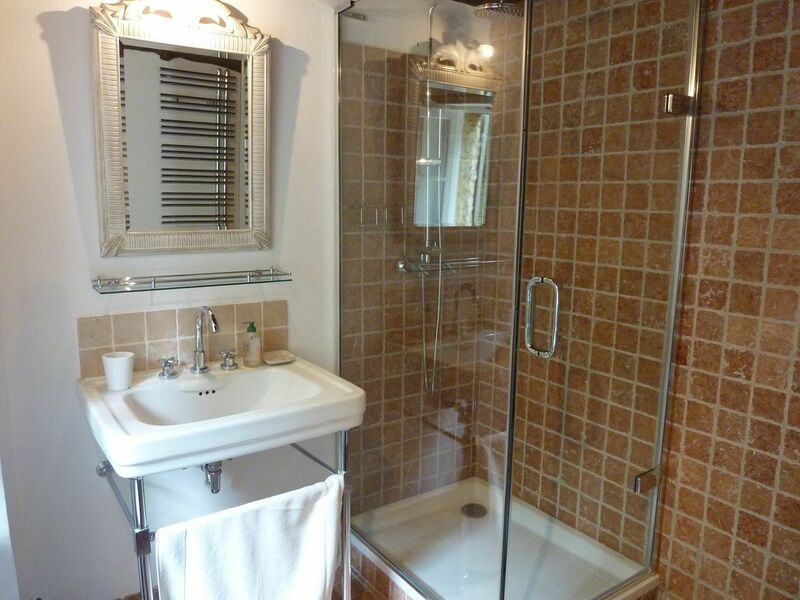 We loved this house the minute we saw it and we know our clients will love it even more! 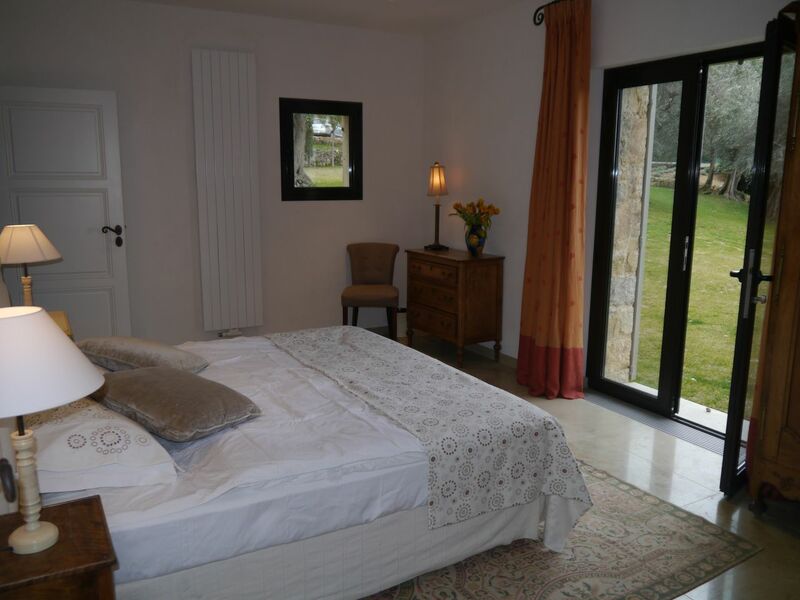 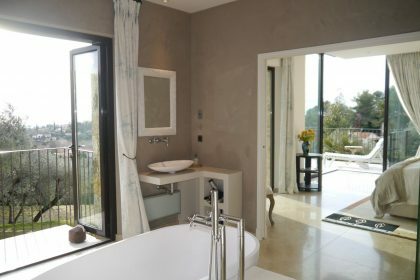 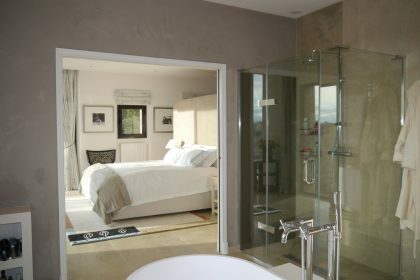 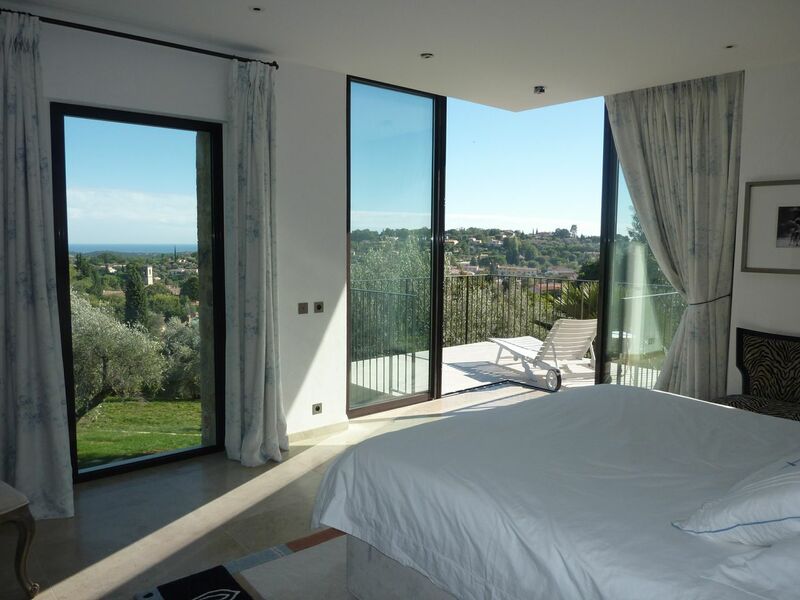 The master bedroom left such an impression – open the huge doors onto the balcony and enjoy the view from the comfort of your bed with a delicious coffee first thing in the sunny morning.